According to the World Population Clock at the Office of Population Research at Princeton University, the population of the world is now 6.92 billion people. We’re supposed to reach 7 billion by the end of October of this year, according to the United Nations. This is much faster than anyone had expected and represents an increase of one billion people in just 12 years. Hania Zlotnik, director of the population division in the UN department of economic and social affairs, says “What is astounding is that the last two billion have been reached in record time… it’s not about how many people there are but where they are: most of these people are being added in the poorest countries of the world.” That means those countries least able to handle these new citizens, and they’re already the most vulnerable to famine. Whether there is a reasonable chance of slowing the population growth rate is still being hotly debated, but all agree that these new numbers are causing shockwaves in many areas. One area which is attracting lots of attention looks at how we’re going to feed all these people. And because we’re proponents of using organically grown fibers (and organic agriculture in general), we think it’s important to investigate these arguments about the benefits of organic vs. conventional agriculture. At the start of 2011, according to The Economist in a special report about feeding the world, “The 9 billion – people question“, the “fact that agriculture has experienced two big price spikes in under four years suggests that something serious is rattling the world’s food chain.” World food prices have risen above the peak they reached in early 2008. The food industry is in crisis – and certainly the era of cheap food is over. There are mounting concerns that we cannot feed even the current population, let alone the 9 billion people expected by 2050. According to The Economist: The world looks to farmers to do more than just produce food. Agriculture is also central to reducing hunger (which is not quite the same thing) and provides many people’s main route out of poverty. Food is probably the biggest single influence on people’s health, though in radically different ways in poor countries than in rich ones, where the big problem now is obesity. Food is also one of the few pleasures available to the poorest. In The Economist’s view (which is held by many scientists, food companies, plant breeders and international development agencies) traditional and organic agriculture is a luxury of the rich. They say that this type of farming could feed Europeans and Americans well. 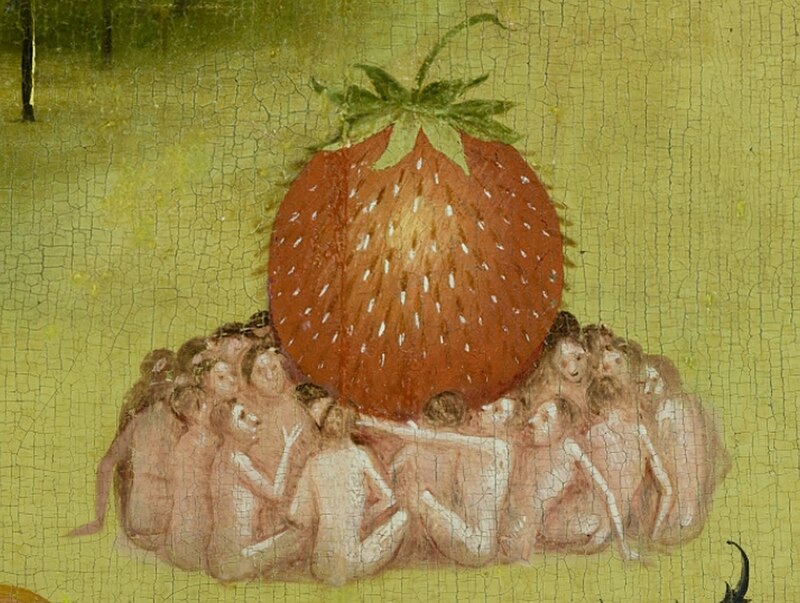 But it cannot feed the world. And Mark Rosegrant, of the International Food Policy Research Institute, points out that organic production tends to have somewhat lower yields compared to non-organics. He says going all organic would require a whole lot more land. Organic farming is, he says, a niche market. It’s not bad, per se, but it’s not an important part of the overall process to feed 9 billion people. Needless to say, we’re interested in finding out more about this topic! We’ll start our own series (feeding and clothing 9 billion!) next week – the subject is really complex and we will need several weeks to do it justice. 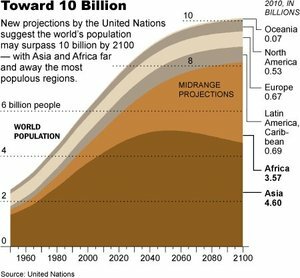 World Demographic Trends, study prepared for UN Commission on Population and Development, (http://www.un.org/esa/population/cpd/cpd2011/cpd44.htm).